According to the data of the Ministry of Investment and Development, some 37,310 contracts for co-financing from EU projects were signed for the sum of PLN 196.6 billion. Overall, the ministry received a total of 87,945 applications for a total amount of PLN 536.8 billion. The value of co-financing from EU funds in applications amounted to PLN 331.8 billion. 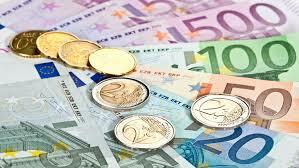 Poland in the 2014-2020 EU financial perspective received €82.5 billion from cohesion policy.